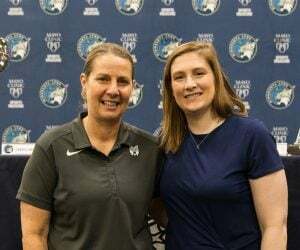 On Sunday afternoon at The Courts at Mayo Clinic Square, the Minnesota Lynx announced they assembled an honorary Dream Team. 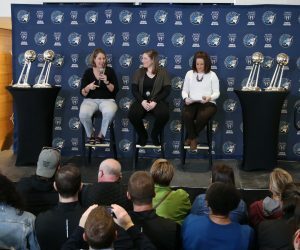 Lynx Executive Vice President and Chief Financial Officer Roger Griffith and head coach Cheryl Reeve held a press conference Sunday morning announcing the signing of five members to honorary one-day contracts. Jaiden Johson (Tubman), Morgan Johnson (Jewish Community Center of the greater St. Paul Area), Ellana Keaveny (American Cancer Society), Qyiam Mesidor (Tubman – Safe Journey’s Program) and Tess Smith (HopeKids) signed a one-day contract with the Lynx and were paired with a Lynx starter as a mentor for Sunday’s practice and through the season. 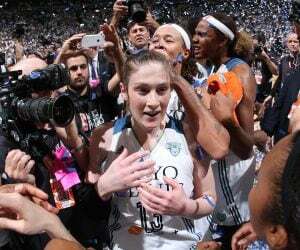 The mentors include Seimone Augustus, Rebekkah Brunson, Sylvia Fowles, Maya Moore and Lindsay Whalen. Along with signing with Minnesota, the Dream Team was able to spend one-on-one time with their mentor, run through drills and eat lunch in the player’s lounge. The Dream Team will also be honored on the court prior to an upcoming game this season. 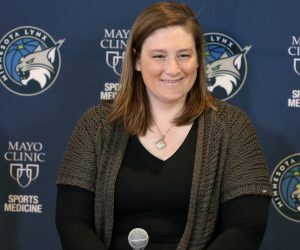 Minnesota non-profit organizations were given the opportunity to nominate youth (18 years old and under) through an application process on LynxBasketball.com. 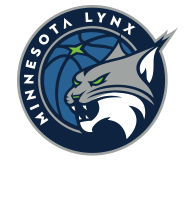 Nominations included the youth’s background and why they should be chosen for the Dream Team, why they are passionate about the Lynx and basketball and lastly, they had to draw a picture of their favorite Lynx memory. “How we impact some of the people that are here, just to get them a day away from what they are going through, to bring smiles to their faces and joy, it’s fulfilling to our players,” Reeve said. “Let’s make sure we enjoy every moment together because nothing is guaranteed. This is that day that we see this from them. Any person that can step outside of their world and see what someone else is going through, it’s a very rewarding thing. To learn more about the honorary members and their organizations, click here.